9 days in and around the spectacular cities of Southern Peru! 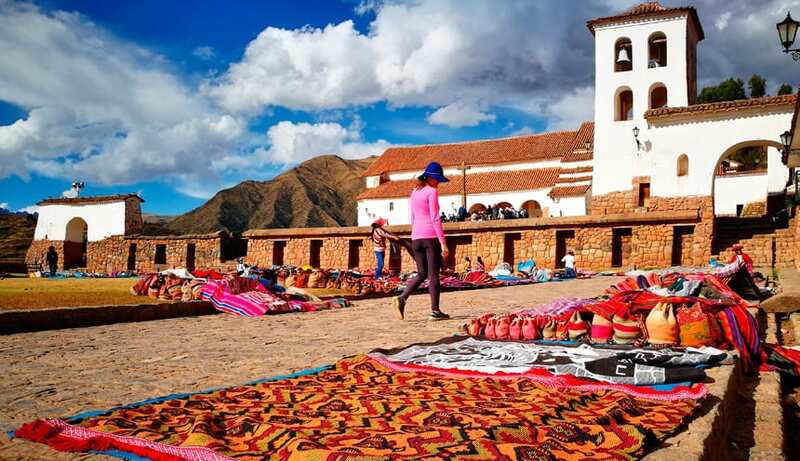 See the essentials of Southern Peru with this 9-days tour and learn more about the Inca Empire, Colonial Cusco, Lake Titicaca, Arequipa, and Lima. 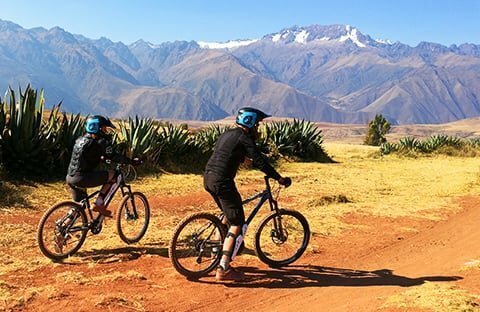 This tour is perfect for those who want to make the most of their time in Peru by experiencing the most beautiful parts Southern Peru has to offer, as well as those who are keen to explore, and immerse themselves in both ancient and new Peruvian culture. This is a family friendly package which was created for participants with different needs and desires. It is a very accessible tour including easy treks taking between 1 – 3 hours of walking at most. Many of the treks are optional, if anyone does not wish to take part in them, they can choose to travel by private car. 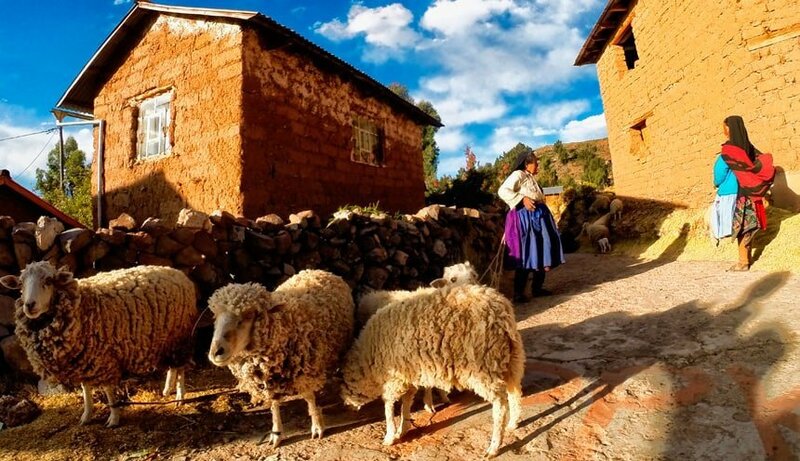 If you wish to experience authentic life in the Titicaca Lake area, we can organise a homestay with a local family on the Amantani Island (1 night). The home-stays are a fantastic experience, but please be aware that they offer very basic accommodation (i.e. no en-suite bathroom and no hot water). It is important to spend a few days in Cusco to get used to the altitude before taking part some of our excursions. On day 1, we will visit the Saqsaywaman ruins, the Koricancha museum, and other famous spots located in the historical centre where we’ll be able to observe a mix of Colonial and Inca architecture. On this day, we will start our tour of the city at 9:00 am and can expect to finish at around 5:00pm. We’ll start day 2 early in the morning, at 6:30 am when a private car takes us to Ollantaytambo. Once there, we’ll visit the Incas ruins up in the mountains surrounding the town. After visiting Ollantaytambo, we’ll get back into our private car and drive for about 45 min to the Patacancha valley where our group will meet with local communities and share a meal with them. In the afternoon, we’ll go walking along an amazing trail for about 3 hours, departing from the pre-Inca’s ruins in the Patacancha valley back to Olloantaytambo. From there, we’ll get a train at 7pm, heading to Aguas Calientes – also known as the Machu Picchu town. The train takes about 2 hours so we can expect to arrive in Aguas Calientes around 9pm. On day 3, we’ll get to explore the Machu Picchu. 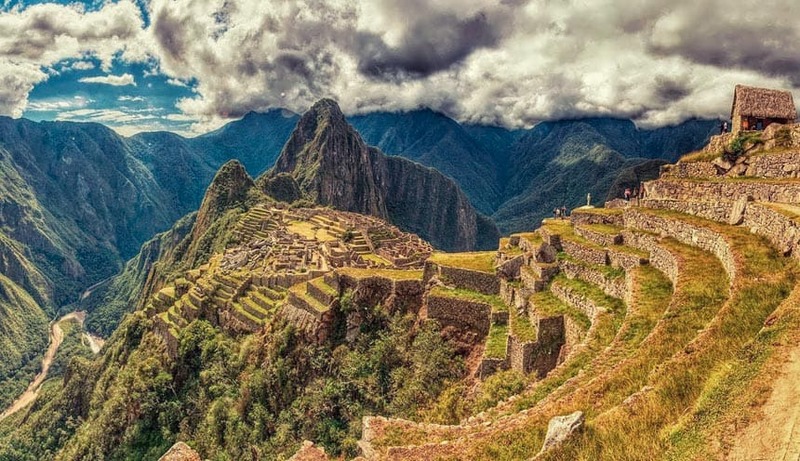 Within the ruins, different options will be available to us such as the Huayna Picchu mountain, the Machu Picchu, walk to the sun gate (Inti Punku) or the Inca bridge. We’ll start the Machu Picchu visit from Aguas Calientes, where you can either get an early bus to get to the site’s entrance (there is an extra fee for this which is not included in the package price) or walk or up to it by taking part in a 1-1.5 hours trek. 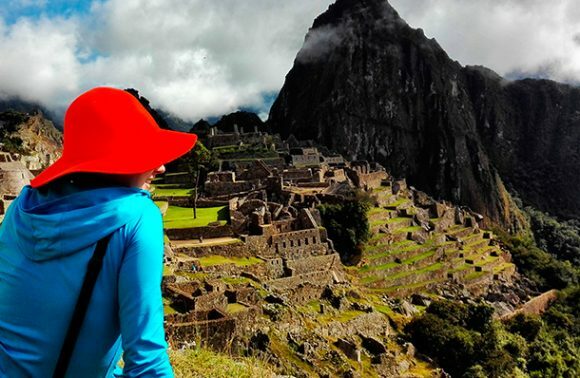 Once inside, we’ll get a guided tour for about hours, wish we’ll give us an overview of the Inca culture and history as well as the spiritual, political and educational values of the Machu Picchu. Once the tour ends, we’ll get time to visit the site by our self until 5pm (we can also leave the site before then if you wish). After visiting the ruins, we’ll head back down towards Aguas Calientes (there is an extra fee for this which is not included in the package price) or walk down (around 1h-1h30), where we’ll get a train to Ollantaytambo. We’re aiming to get there around 8:20pm. On day 4, the day starts with a 7 am breakfast. Then around 7:40, we’ll have a 50 minutes car ride to Moray archaeological site. 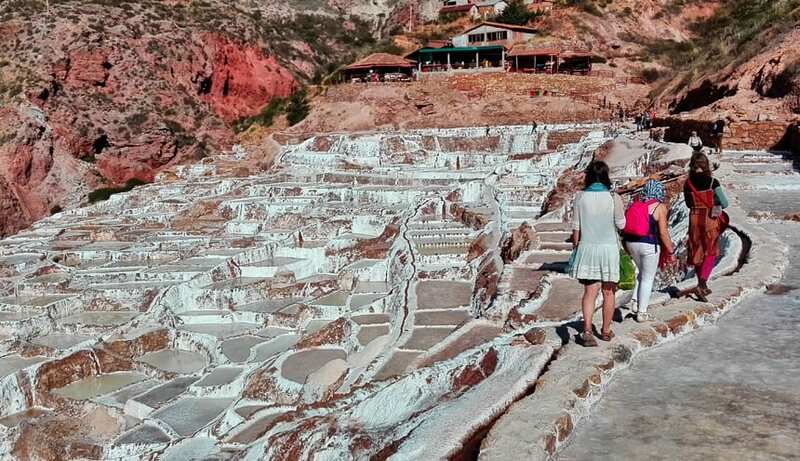 We’ll take a look around the ruins for about 45 minutes before heading to our next destination, Maras, to see the Salineras. After a busy day, full of diverse activities, we’ll reach Cusco around 4pm, giving us enough time to discover the restaurants and nightlife of this beautiful city. We’ll leave Cusco around 5am to get to the Titicaca Lake by private car. Around 11am we’ll step onto a boat and head to the Amantani island, which will approximately take 1 hour. There, we’ll get the chance to meet local communities living on the island and share dinner with them. Following dinner, we’ll walk up for about 2 hours until we reach the top of the island. We’ll spend the night near the Titicaca lake, or if you wish to, we can arrange a stay with a local family on the Amantani island. Home-stays are unique and wonderful experiences, however, keep in mind that those option offer basic comfort (no private bathrooms and no hot water). 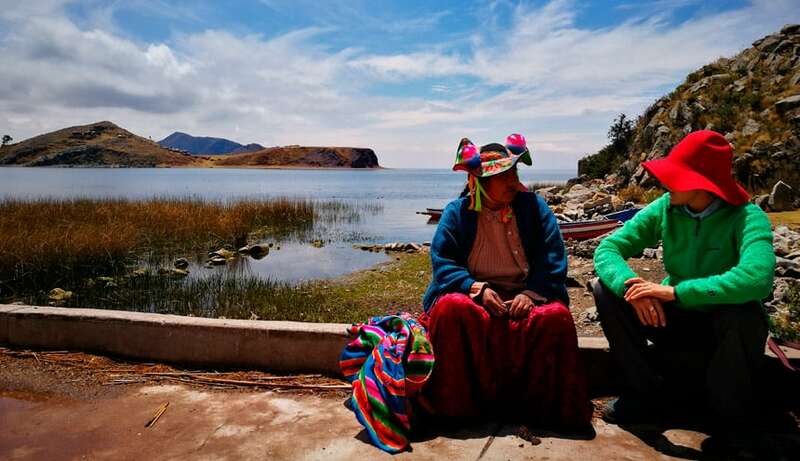 On day 6, we’ll spend the whole morning visiting different spots around the Titicaca lake, including the Ticonata island and the mummies museum which belong to the Tiahuanaco culture, as well as Sillustani (a Pre Incas-cemetery) and Uros flotting islands. Then, around 4-5pm, a private car will drive us to Arequipa, “the white city”. During this 5-hour car ride, we’ll come across many beautiful landscapes and if we’re lucky, we could get an overview of the Peruvian native fauna. We’re aiming to reach Arequipa at 9pm. After having breakfast around 9am, we’ll visit the main sites around Peru’s white city with a local guide. Later in the afternoon, we’ll get more time to go shopping, rest or enjoy the city’s evening life. In the evening/night we’ll get a plane to Lima. Lima has a lot to offer, from landscapes to history and culture. On day 8, we’ll get many opportunities to visit some of the most fascinating attractions. We want you to experience Peru’s capital in many ways. We’ll start the day at 9am with a tour around the city, during which we’ll visit the San Francisco church and its catacombs as well as some attractions around the Plaza de Armas (main square). After dinner, around 2pm, we’ll visit another part of Lima called Miraflores. 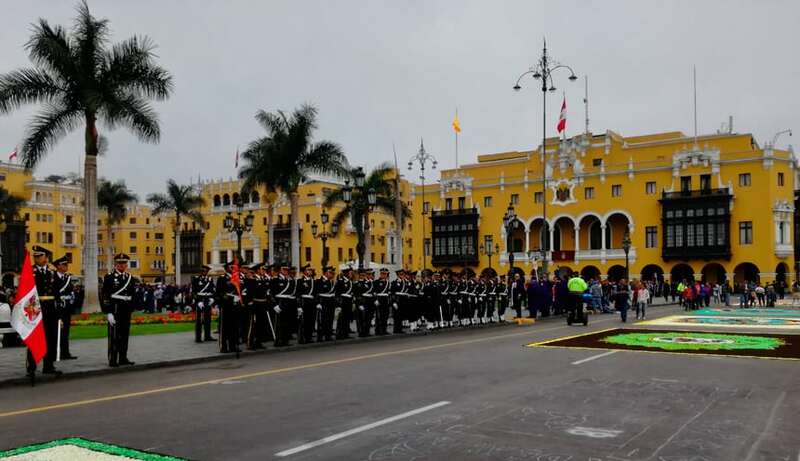 Depending on your departure time from Lima, you might have enough time to visit the city centre as well as other places. Your “Cusco, Titicaca, Arequipa et Lima express” tour will end in Lima. 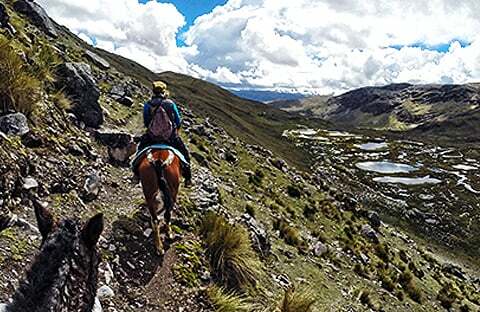 If you wish to stay longer in the Cusco region or any other region in Peru, don’t hesitate to contact us. We would be more than happy to modify our itineraries to match your needs and requests.